Digitization and its expanded horizons are not a new concept for us. One of the most common scenes you might have witnessed at a busy mall is the picture of a mother holding the smartphone in one hand and the child on the other hand. And to no surprise, even kids are seen holding and enjoying the company of smartphones and tablets. These sources of digitization have become one of the most popular entertainment media for kids. It is a boon for many parents who had earlier faced struggles in controlling their children during many activities. Digital Independence to a child- How far it is justified? Dreamworth Solutions Pvt Ltd is a popular Digital Marketing Company that is consistently helping the society to optimize the use of digitization in their businesses and lives. But with greater power, comes great responsibility. As a responsible organisation in the industry, we would like to make you aware of the considerable effects of digitization as well as associated cons with the uncontrolled usage of Digitization. 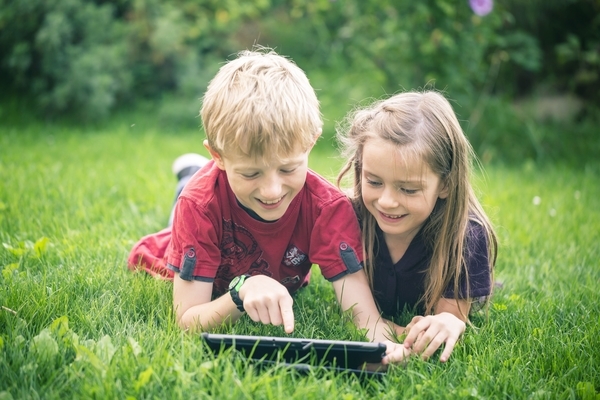 Digitization has enormous benefits for our kid’s through tablets, smartphones. If kept under controlled, these could be turned out as a boon for them. It can offer a wide channel of information to meet their curiosity level of them. The level of information offered through these digital platforms is vast and is beyond the imagination of the previous generation. Keeping these facts in mind, we can move ahead to see the other side of the coin. Making a child digitally expert might bring some undesirable consequences in terms of health and mental growth of the child. Parents are somewhere known to these risks and are looking for a suitable answer to know a correct time or a correct way to allow their child to become digitally independent. Well, the experts say that if we are ready to let our children be digitally independent, we should present ourselves to be a good role model for them. Confused? Researchers have claimed that the digital behaviour of your child is closely related to your behaviour. A child learns first from his home. Show him the right practice to handle the internet. For example, you can limit the hours and the internet usage of your child. Moreover, you can also sit with your child to talk about his interests on the internet. It can also help you to get a fair idea of what your child is going to watch on the internet. A reliable digital partner allows you to get the knowledge of how to go safely on a digital platform. As a parent, you should be the ultimate decision maker to decide the digital independence of your child. Observe him, teach him and restrict him whenever it is required. True parenting needs a little spying too! Go ahead with all the possible ways to make your child understand the difference between a thin line of good and bad addiction of digitization. Digital advancement is a boon and asset for your child’s future, provided it is used carefully and wisely! Don’t compare it with any other child. Teach your child to build a golden future for him! Dreamworth Solutions offers you all the digital expert advice to ensure the best use of technology has been done! 71 + 285 = ?